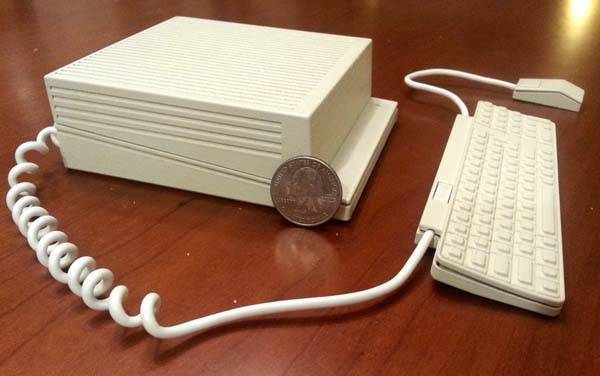 It’s hard to get a vintage Apple II nowadays, but you can use the 3D printed Raspberry Pi case to disguise your Raspberry Pi as a tiny Apple IIGS. Like the idea? Let’s keep going. The Raspberry Pi case is 3D printed and hand polished and painted by Charles Mangin, a crafter from North California. 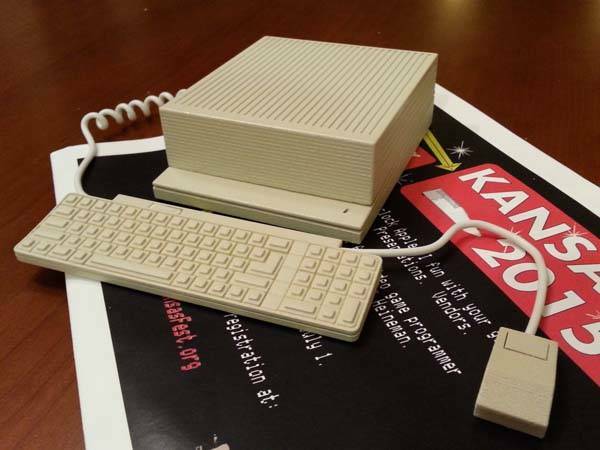 As we can see from the images, the case is shaped as an old-school Apple IIGS, which features three parts of the desktop computer including the computer, its keyboard and mouse. 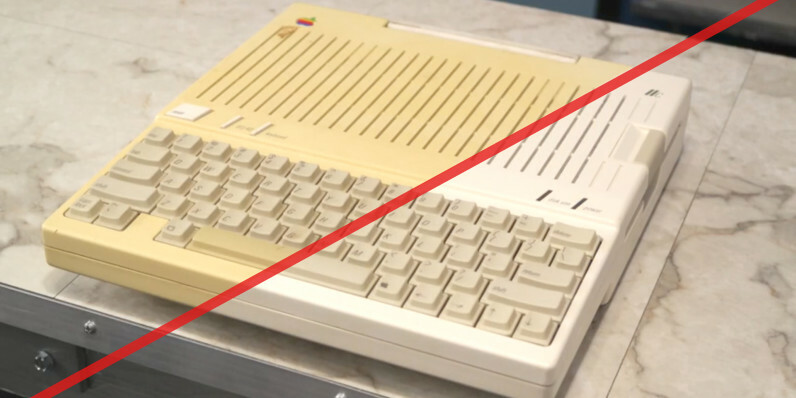 Meanwhile, every part shows off meticulous detailing, and charming painting matches the “Platinum” color of original Apple IIGS. The Raspberry Pi case measures 4.5 x 3.75 x 1.5 inches and works with Raspberry Pi 2 and model B-plus. Using its custom opening, you can easily access to the USB and Ethernet ports, and a right-angle microUSB adapter is included to provide power. Moreover, its “Deluxe” version includes a shrunken keyboard and ADB mouse, and both miniatures feature functioning switches that connect to your Raspberry Pi’s GPIO pins, which means by clicking the mouse or pressing the power switch of the keyboard, you can trigger functions on the Pi. 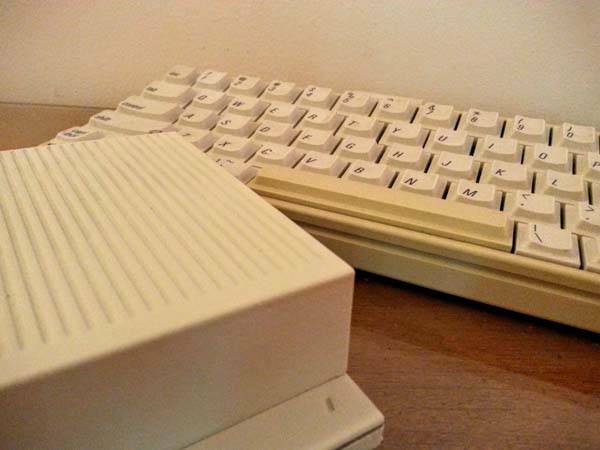 The 3D printed Apple IIGS Raspberry Pi case is available in three models, starting at $100 USD. If you’re interested, jump to Etsy for its more details. BTW, also don’t miss 3D printed Apple IIc Raspberry Pi case and more related cool stuff by following tags. The high-quality how hide leather case not only protects your iPhone 6/6 Plus, but also keeps a credit card in place, and integrated pull strap lets you effortlessly take out your phone from the iPhone case. This is a well-crafted and eye-catching sleeve-style case that comes in two models for iPhone 6/6s and iPhone 6/6s Plus. 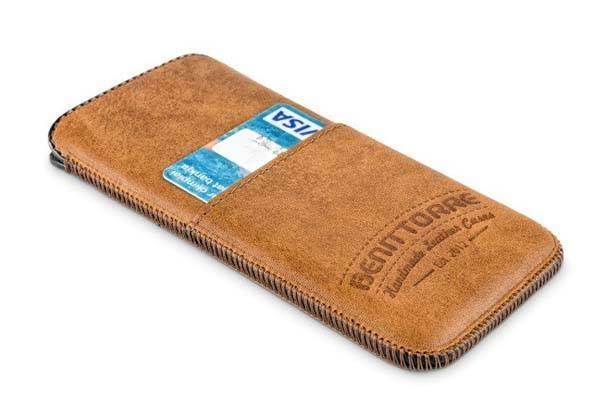 As we can see from the images, the iPhone case shows off a classic, slim and sleek appearance, and its genuine leather exterior not only delivers a durable and long-lasting structure, but also shows off charming leather grain for a luxurious feeling. Meanwhile, its unique stitching and elegant text add more stylish detailing to the leather sleeve. 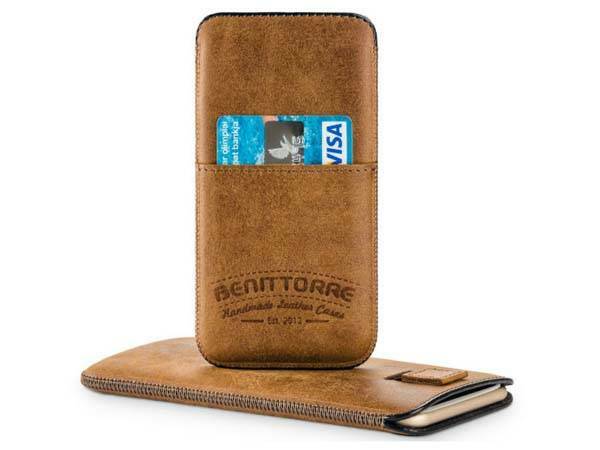 The iPhone case is handcrafted from high-quality and soft cowhide leather plus microfiber lining in order to gently warp around your iPhone and protect it from bumps and scratches whether you hold it in your hand or put it in a bag. Moreover, the leather case also features an integrated pull strap that allows you to easily access to your phone, and an external card slot keeps one of your most frequently used cars in place for quick access. In addition, the leather case is customizable by add your own monogram. 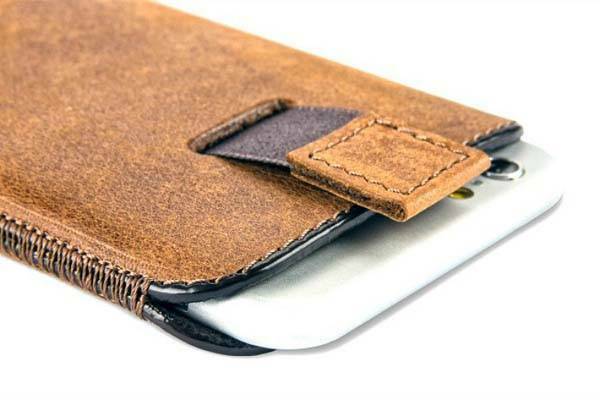 The iPhone 6/6s Plus leather case is available starting at $39.95 USD. If you’re interested, jump to Etsy (for iPhone 6/6s P lus) for its more details. BTW, also don’t miss Fuzzy iPhone 6/6s Plus case and more related cool stuff by following tags. I’ve always been intrigued about the idea of a standing desk, but I’ve never been motivated to actually try one until recently. As someone who sits at a desk and blogs about Mac and iOS for a living, I was particularly interested in seeing what type of physical benefits such a desk could offer. Enter the PowerUp from UpDesk, a Nashville-based company that specializes in standing desks. The PowerUp, as its name alludes to, is a motorized standing desk that can lower and raise with the press of a button. I’ve been testing out the PowerUp for the last few weeks, and have collected some thoughts and observations about the setup. Does it really make a difference in my day to day Mac and iOS blogging workflow? UpDesk features several “off the shelf” models that customers can order and have shipped in 1-2 days. The company also touts a build to order model, which allows you to further customize your desk. Like ordering a custom Mac, build to order options will take extra time to ship. I ended up opting for an off the shelf UpDesk PowerUp with a white top. As someone who’s used Apple Store-like maple desk tops for the last few years, I was looking forward to trying something different from a color perspective. UpDesk offers three different sizes for the PowerUp: Small (48″), Medium (60″), and Large (72″). Of course, I decided to go with the biggest option available. The motorized PowerUp standing desk starts at $890.00 and comes with a 5-year limited warranty. A few days later, the PowerUp arrived at my doorstep via FedEx in two separate boxes. The first box was absolutely ginormous, and I really don’t understand how the FedEx guy was able to carry this to my door. I suppose he used a dolly. I hope, for the sake of his back, that he used a dolly. I say that, but I ended up carrying the UpDesk from my front porch to my office. It was a feat that I later regretted, as I felt like I pulled a muscle in my back from doing so. Note: have a friend help you move this desk, especially if you opt for the large version. The first large box contained the desk top, and the smaller box contained the legs and all of the tools needed to assemble the desk. Unboxing this monstrosity was actually pretty easy, and I was able to put it all together all by myself, moving it from the front porch to usage, in a little less than 40 minutes. Most of the pieces are already preinstalled. It’s just a matter of connecting the legs to the 1.25″ thick laminate desktop, attaching the control box, and connecting the wires from the motor to the control box. I was impressed by how all of the pieces fit just right. This isn’t your typical “build your own furniture” setup from a big box store, with pieces that just barely fit in the right places. Every piece fit just so, and the nuts used to attach the legs went on without any problems whatsoever. UpDesk states that its twin-motor setup can raise the desk at a rate of 1.5-inches per second, and I find that the PowerUp lives up to those claims. It only takes me a few seconds to get from my preferred sitting height to my preferred standing height. Needless to say, that’s a pretty awesome feature to have. There is an audible hum that comes from the motor when adjusting the desk’s height, and while it’s certainly not whisper quite, it’s not unreasonably loud either. While it’s possible to move the desk up and down by pressing and holding the up or down button on the control panel, there are three buttons that can be configured with pre-set heights. Configuring these presets is as easy as tapping the set button followed by one of the three preset buttons when at a desired height. To move the height of the desk in either direction, you’ll need to press and hold the button, which is a smart system that will prevent any needless accidents. This applies to both the manual and preset controls. The build of the PowerUp is solid. The 1.25″ desktop surface is laminate, so it’s not real wood, but it’s extremely heavy and durable. I’ve already had experience spilling things on this desk, and inadvertently dragging rough surfaced items across the desktop, and haven’t encountered any permanent stains or nicks thus far. I will say that the white surface makes dirt and dust show up much more than any other color would, so if you don’t want to have to deal with constantly wiping off the desk, then I suggest you pick one of the other four colors that are available. My overall impression with the PowerUp’s build quality is a positive one. Nothing about this desk says that UpDesk cut corners in any way. Even the outsourced components are selected well. The leg motors, for instance, are sourced by Linak, a Danish company who specializes in high quality linear actuator systems. The legs in particular are very heavy and durable, as they should be since they have to not only handle support duties, but handle the raising and lowering aspect as well. I wanted a standing desk, because yes, I was sitting way too much throughout the day. But I’m not naive enough to think that a standing desk will cause me to become this super-healthy person. Nothing replaces good old-fashioned exercise, so set some real expectations for what a standing desk can do for you. I can say, however, that using this desk for the last few weeks has changed the way that I work for the better. It’s not only changed the way I work, but it’s changed my perspective — and I mean that literally. It’s so nice to have a piece of furniture that can transform and serve a new purpose with the touch of a button. The fact is no one should sit all day, and neither should they stand all day. A standing desk like the UpDesk PowerUp affords you the opportunity to do both with a single piece of furniture. I also like the fact that I opted for the large version of the PowerUp. It’s been a long time since I’ve owned a desk this big, and the desktop real estate that it adds is something to behold. I could likely fit three curved LG UltraWide 34″ monitors on this desk. Not that I would, but I could. I honestly can’t comment on any health benefits that I might derive from using a standing desk, but I can tell you this — anything is better than sitting for 8 hours a day. Regardless of if you own a standing desk or not, you should get up every so often and take a walk, even if it’s just around the house. I find that I’m more willing to take breaks when I’m already standing. I also tend to move around more when I type, doing little mini exercises while maintaining my productivity. With a starting price of $890, the UpDesk PowerUp is on the pricier end of the spectrum, so it’s not going to work for everyone’s budget. There are lots of cheap standing desk options on Amazon, but remember that you get what you pay for. UpDesk is backing its product with a 5-year warranty for a reason. It’s also important that you go into this with realistic expectations. Nothing is going to replace actual physical activity, so don’t think that just because you’re standing for a couple of hours a day you’re all of the sudden going to be healthy. Another thing that you should consider is cable management. Although UpDesk does include a couple of cable management channels, these will only do so much if you have a lot of cables hanging from your desk. You’ll also need to watch how the cables are organized, because raising the desk could cause items on your desk that are tethered to cables to fall if they get caught on something. As I previously mentioned, if you don’t want to have to wipe off the desk’s surface on a daily basis, opt for a color other than white. I love the vibrant look of this desk in my office, but there’s no denying that it’s a dust and dirt magnet. Are there health benefits to using a standing desk? There have to be if having one motivates you to move when you weren’t moving before. Should standing while working be your sole source of exercise throughout the day? Definitely not. There’s been some controversy over the standing desk phenomenon. At first, they were treated like some sort of health savior. Then the naysayers fired back and proclaimed that standing desks might actually do more harm than good. The fact is that anything can be harmful if overdone. It’s not good to stand for 8 hours straight, just like it’s not good to sit for 8 hours straight. Use moderation. That’s what makes the PowerUp so nice, because it can transform in seconds between the two. Whatever the case may be, there’s no way that I’d ever want to go back to a “normal” desk. UpDesk has added a fun new dimension to my daily routine that just might make me a little more active. For that I am appreciative. The second iteration of Apple’s 12-inch Retina MacBook brought very little in terms of design changes, although with a new processor and speedier memory, it does offer a significant performance upgrade. The biggest change, though? The addition of a rose gold model, making it the first-ever MacBook to be available in pink(ish). 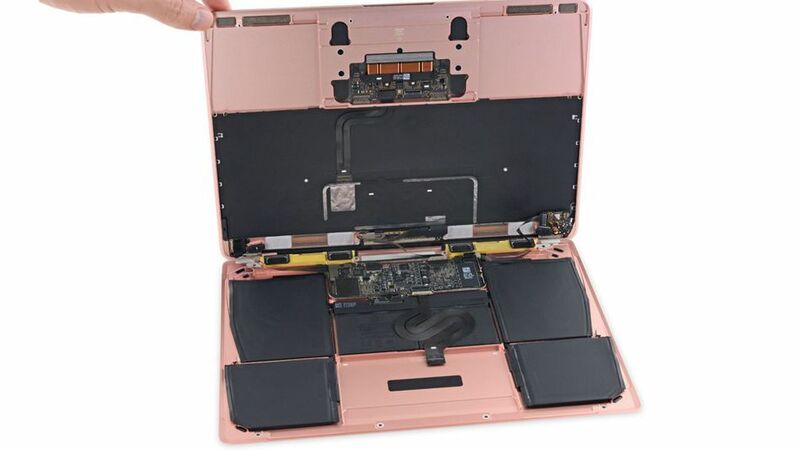 Does it matter, then, how the new MacBook looks from the inside? The answer is yes, yes it does. Other than that, there are no many surprises in this teardown. The MacBook is still painfully hard to repair, though, thankfully, it shares a lot of parts with the last year’s model. 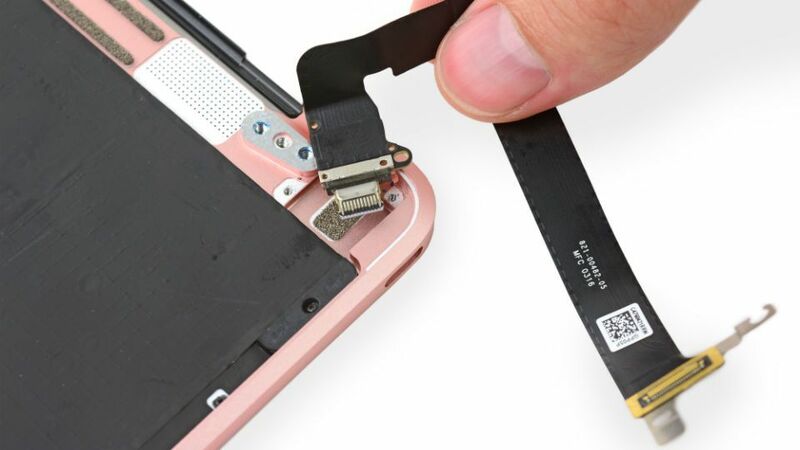 Check out the full teardown over at iFixit.